Studying religion in college or university? This book shows you how to perform well on your course tests and examinations, write successful papers, and participate meaningfully in class discussions. You'll learn new skills and also enhance existing ones, which you can put into practice with in-text exercises and assignments. 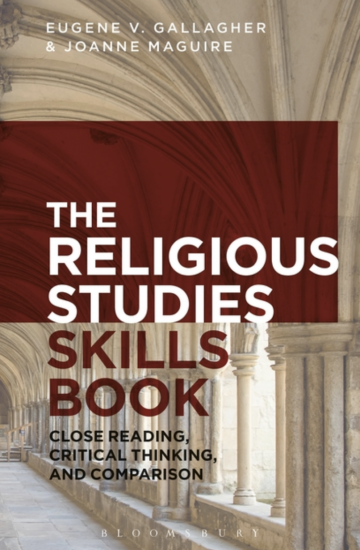 Written by two award-winning instructors, this book identifies the close reading of texts, material culture, and religious actions as the fundamental skill for the study of religion at undergraduate level. It shows how critical analytical thinking about religious actions and ideas is founded on careful, patient, yet creative “reading” of religious stories, rituals, objects, and spaces. The book leads you through the description, analysis, and interpretation of examples from multiple historical periods, cultures, and religious traditions, including primary source material such as Matthew 6:9-13 (the Lord's Prayer), the gohonzon scroll of the Japanese new religion Soka Gakkai, and the pilgrimage to Mecca (hajj). It provides you with typical assignments you will encounter in your studies, showing you how you might approach tasks such as reflective, interpretive or summary essays. Further resources, found on the book's website, include bibliographies, and links to useful podcasts.